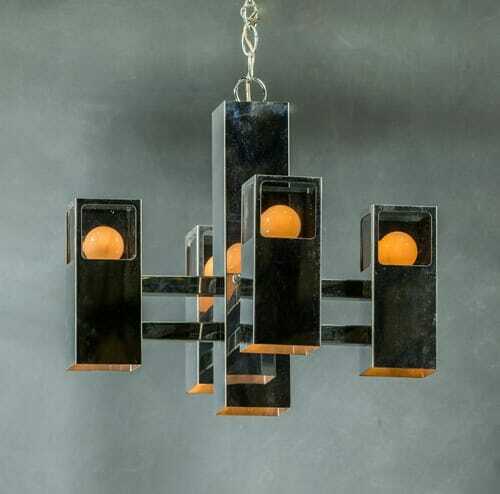 This chandelier’s bold look brings to mind Robert Sonneman’s iconic Mid-century Modern designs. Four highly polished chrome cubes with Lucite panes join to form an angular shape. Circa 1970.